Saab owner Swedish Automobile NV said today that the struggling automaker aims to restart production at its Trollhaetten plant on Aug. 9. The news follows the Swedish government's approval of Swedish Automobile's request to sell part of Saab's property unit to a consortium of Swedish real estate investors, the company said in a release. The European Investment Bank approved the property deal on Tuesday. Swedish Automobile, formerly known as Spyker Cars NV, last week signed a 28 million euro ($40 million) deal to sell 50.1 percent of Saab's property unit, Saab Property AB, to a consortium of investors led by Hemfosa Fastigheter as part of efforts to ease its cash crunch. 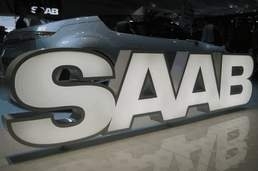 Saab will get about 22.5 million euros at the closing of the deal, which is expected to happen today. The rest will be in the form of a bond. The consortium is allowed to boost its investment to 33 million euros within 30 days of the deal's closing, according to the release. Saab and Swedish Automobile say they have been able to raise about 61 million euros in "additional funding commitments" over the past few weeks. Saab continues to negotiate with its suppliers to get them to resume deliveries. Saab said today that it is targeting Aug. 9 as the start date because its suppliers "require a longer lead time to resume adequate supplies" and to take into consideration summer shutdowns at many of the component makers.